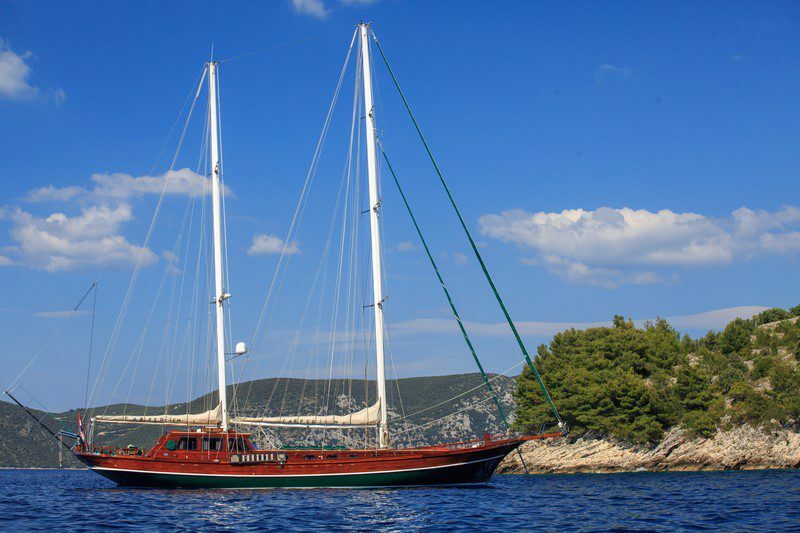 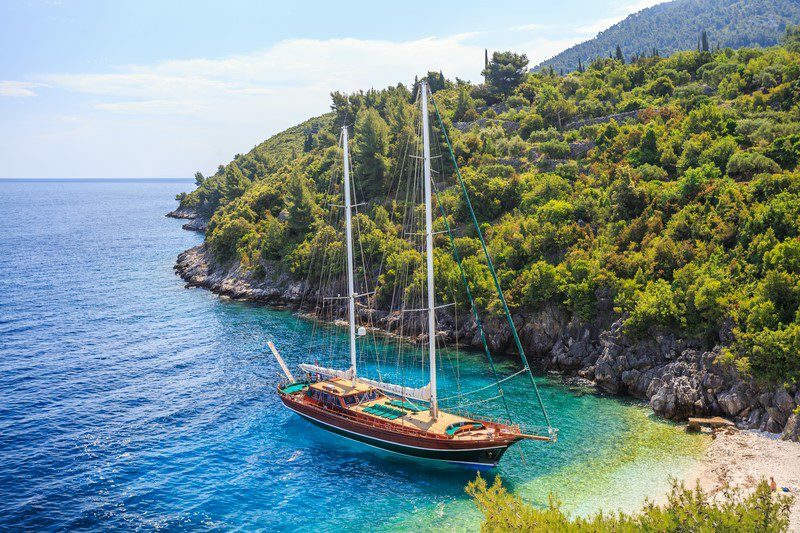 Gulet Carpe Diem is a lovely cruising yacht that ensures a relaxing cruising vacation along the Croatian coastline and its magical islands. 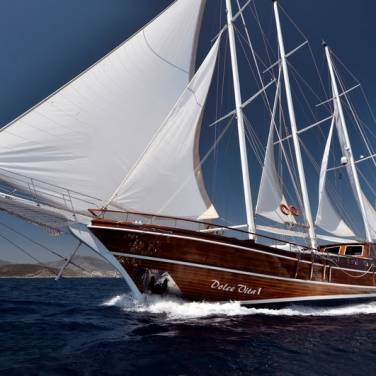 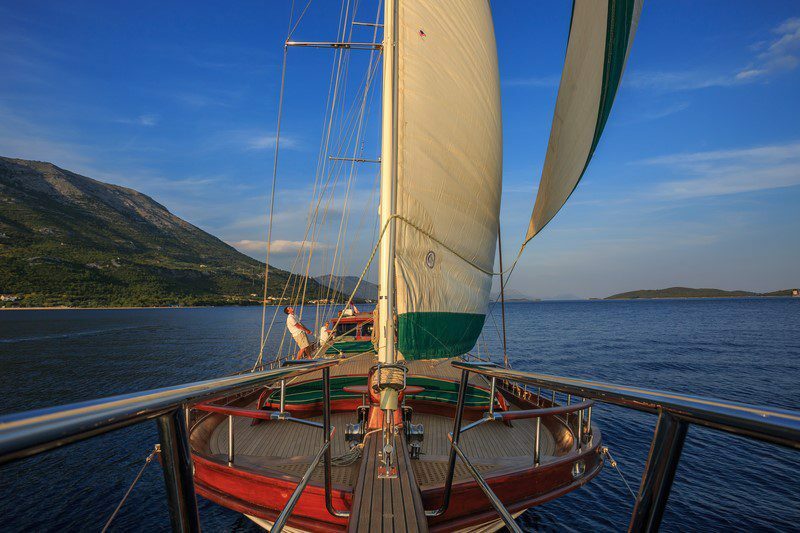 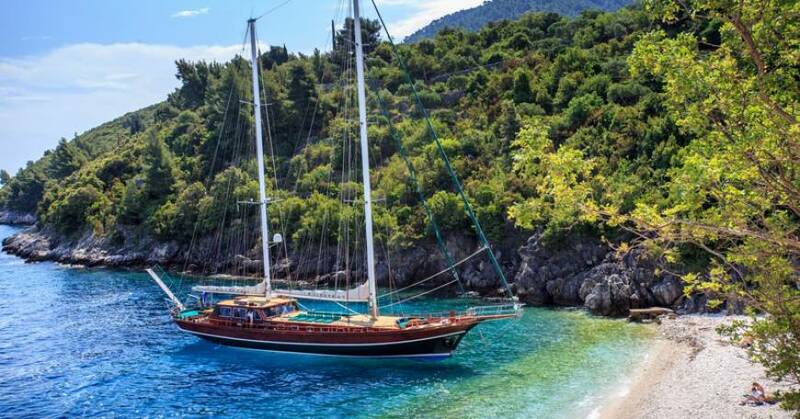 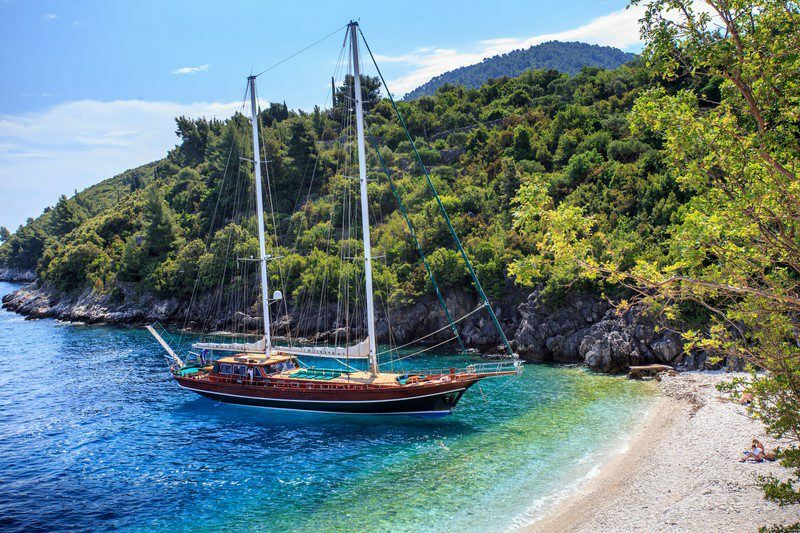 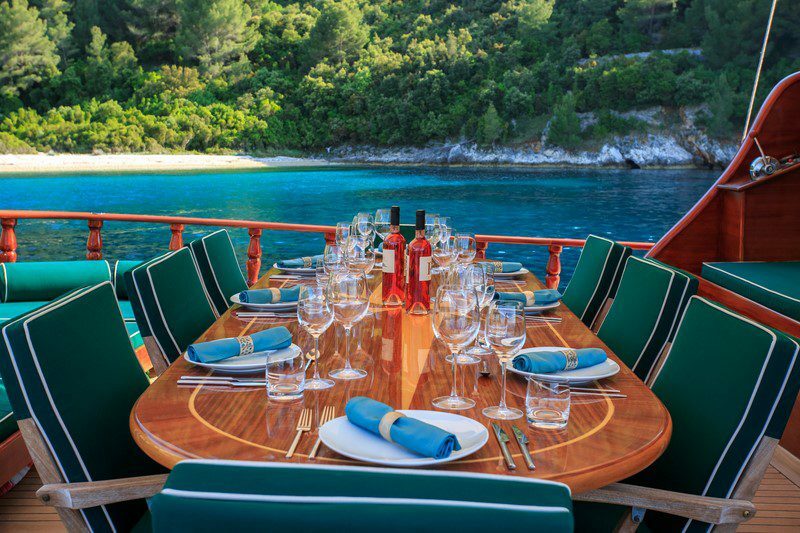 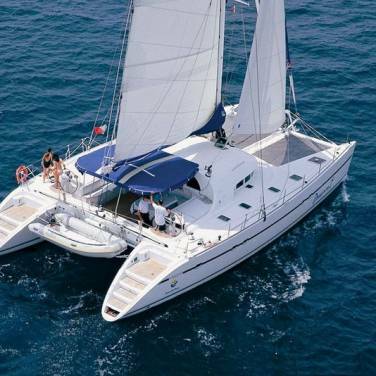 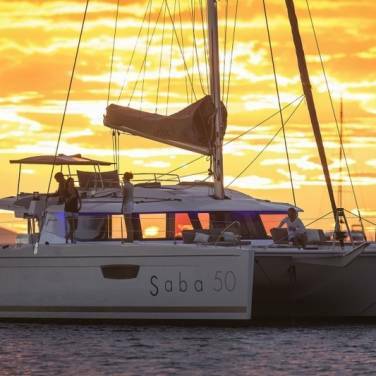 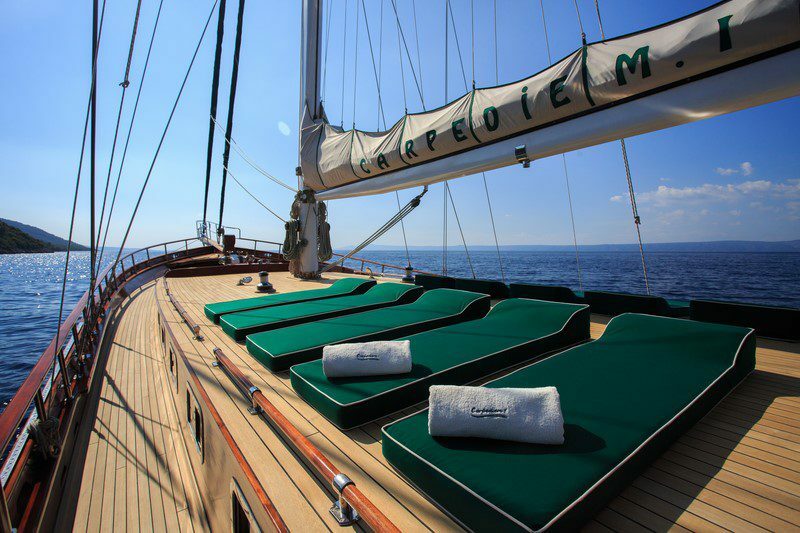 30 meters long, gulet Carpe Diem 1 has everything you might need for a family charter holiday in Croatia. 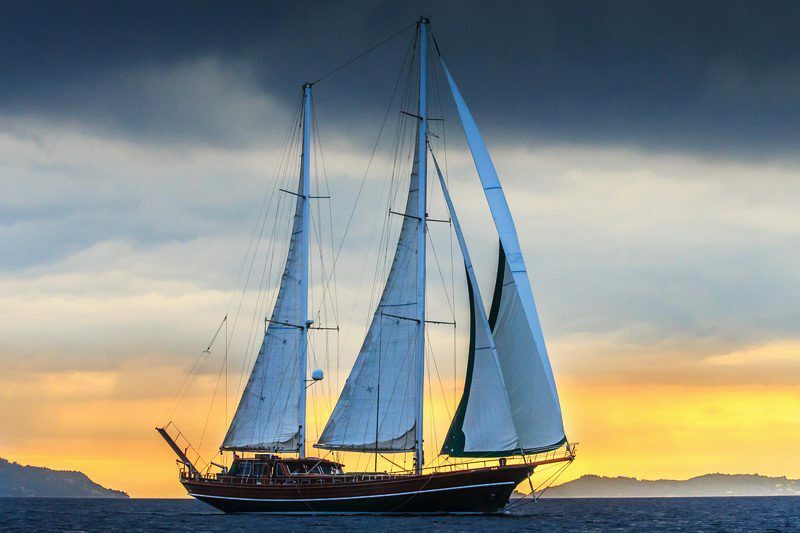 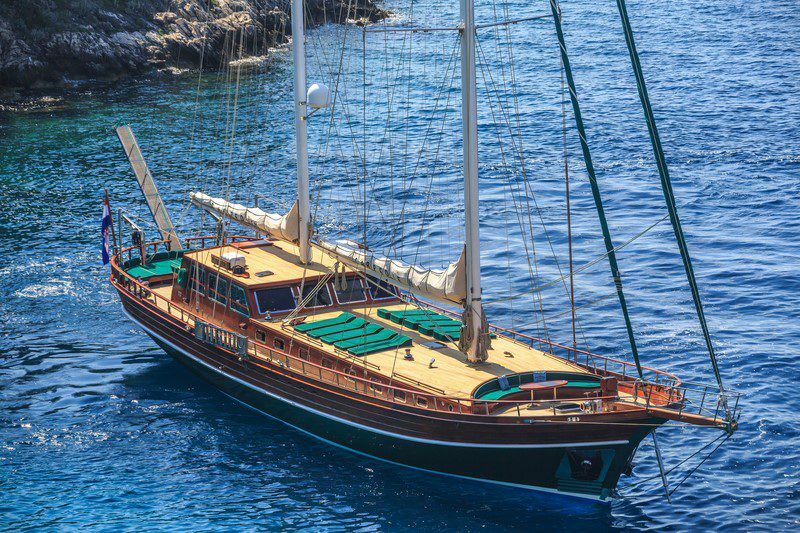 Accommodating up to 9 guests on board, this beautiful gulet can be rented by a group of friends as well, offering 2 twin cabins, one double bed cabin and one master cabin with an additional bed. 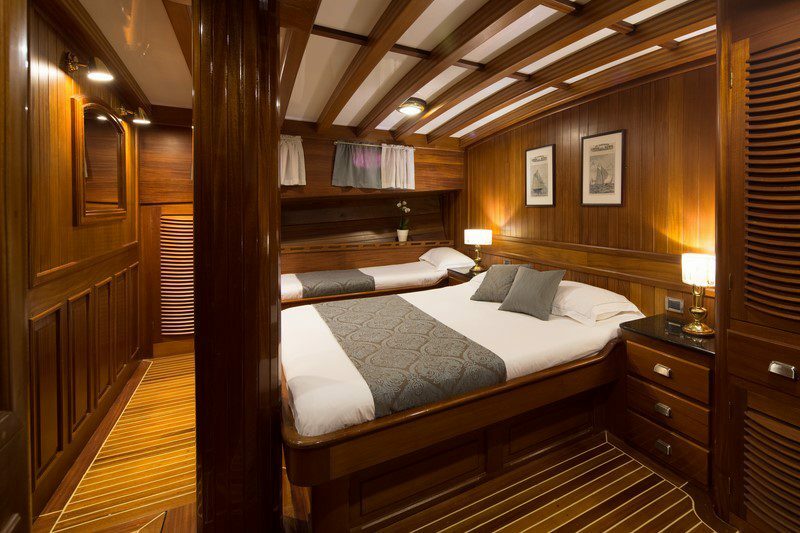 All cabins are nicely furnished and with lots of natural light whereas a high ceiling adds a sense of space. 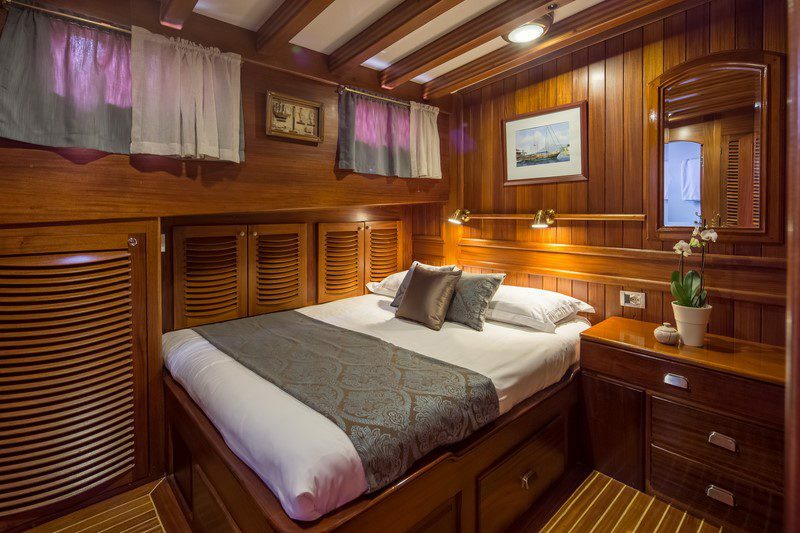 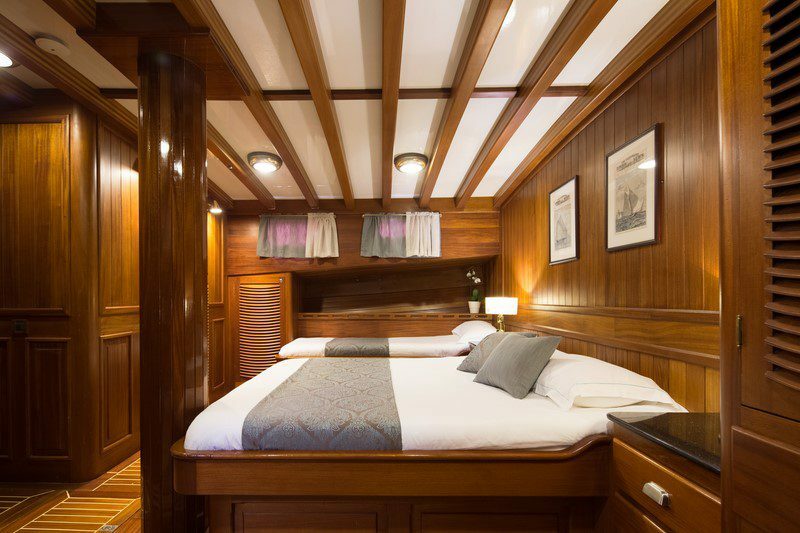 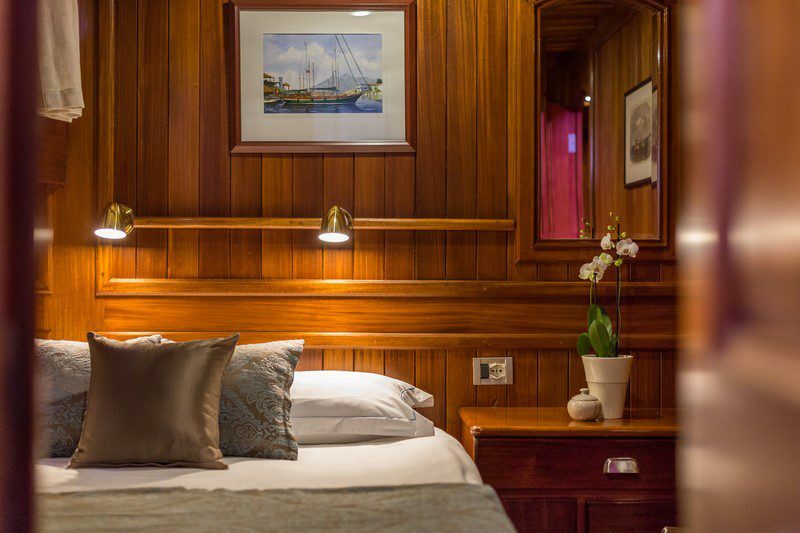 The cabins are fitted out with a safety deposit box, en suite facilities and individually controlled air conditioning, allowing the guests to enjoy their charter holiday in privacy and comfort. 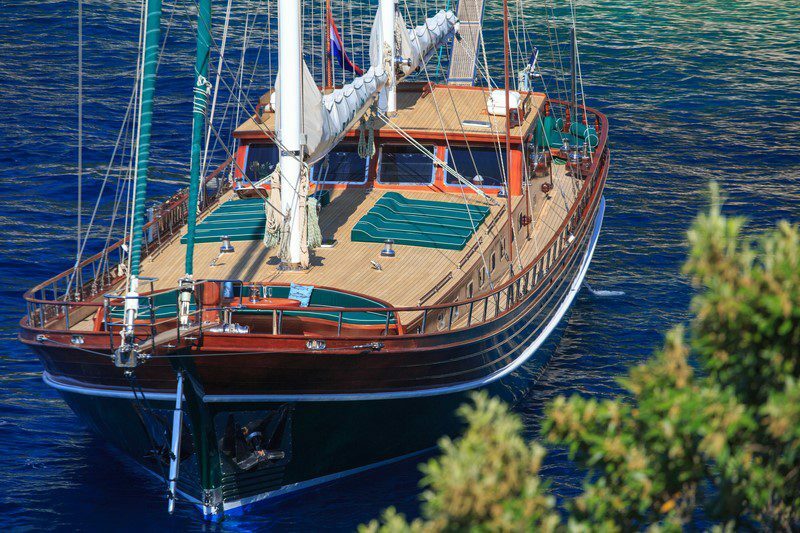 The rest of the gulet’s interior layout is just as open and warm with a bright indoor salon that is also air-conditioned and has satellite TV, DVD and CD player and a small library. 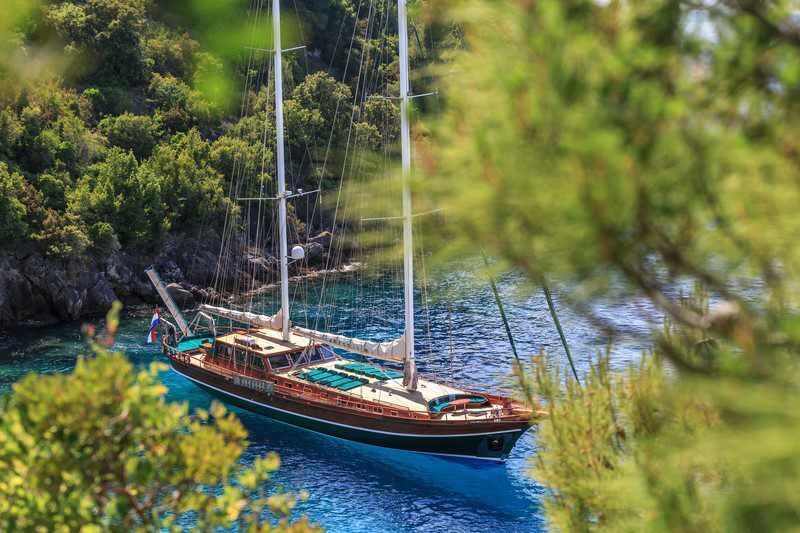 Wi-Fi is available throughout the gulet while the yacht’s diversified range of water sports equipment will surely delight all sports enthusiasts. 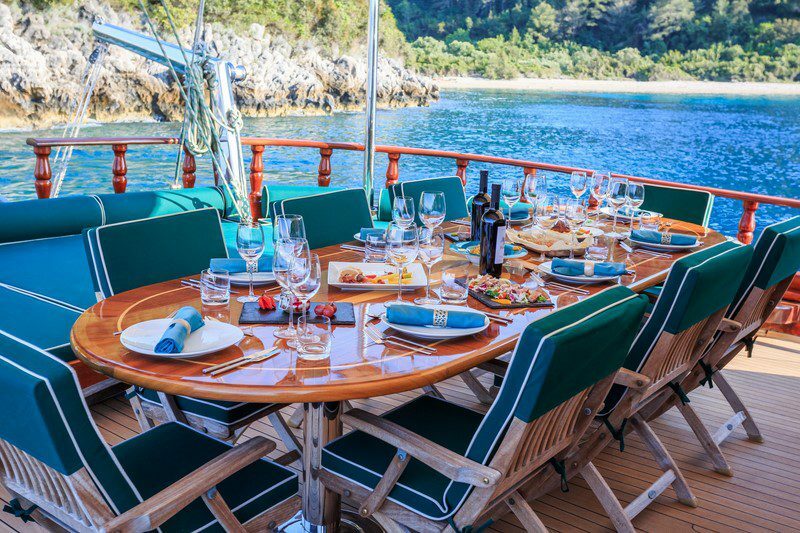 There is a 4.8 m tender with 100 Hp, 2 sea kayaks, one paddle board, a wakeboard, a knee board, a doughnut, two sets of water skis and a snorkeling equipment. 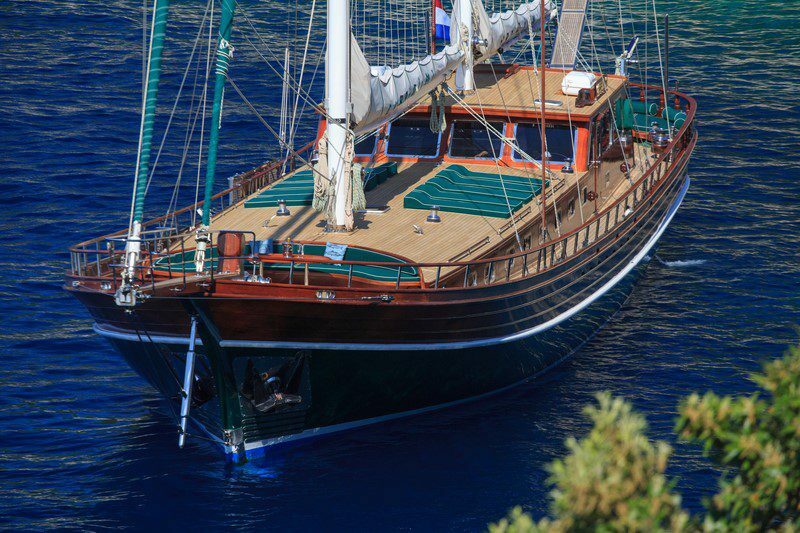 The use of tender for water sports is included in the initial price but the guests who decide to rent this beautiful gulet will also have the opportunity to enjoy other leisure activities such as scuba diving, big game fishing, rafting and various shore excursions (payed extra). 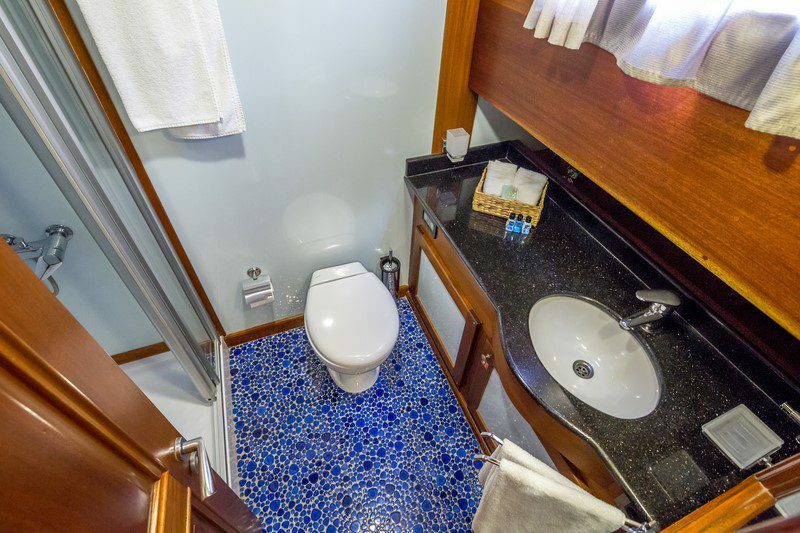 Port and marina fees are also included in the price among other things whereas laundry service is charged extra. 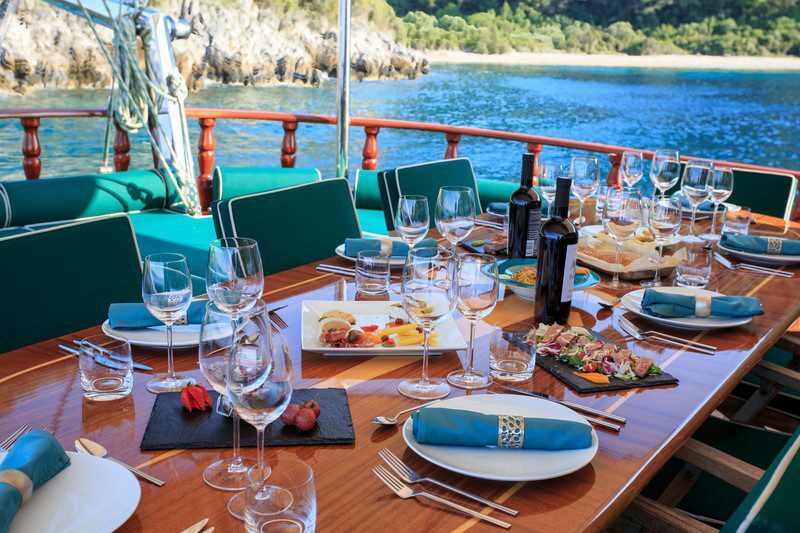 The guests may choose between half board and full board menu and the crew will arrange a welcome dinner on the first night. 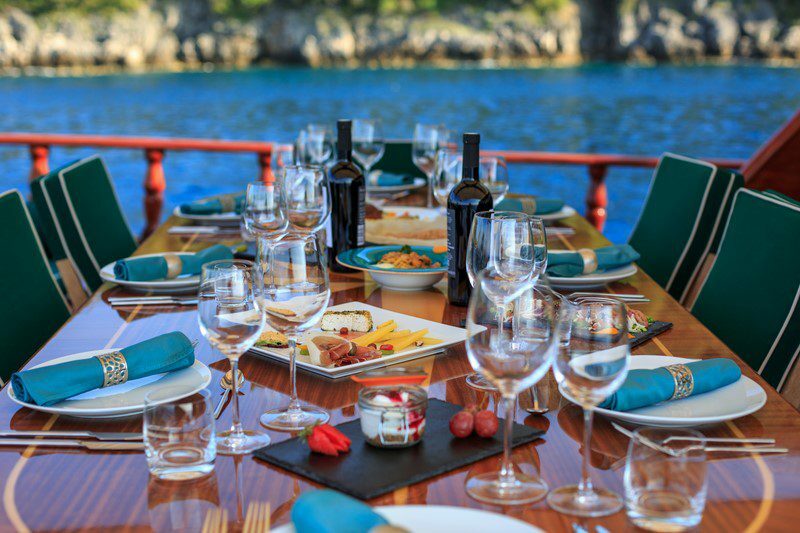 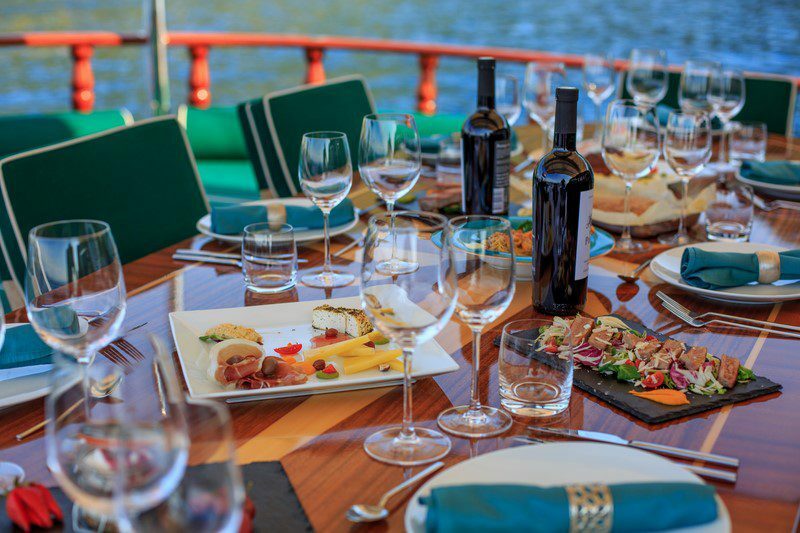 One of the most unique advantages of gulet renting is without a doubt gourmet dining and the aft deck is definitely the ideal place to try some authentic Dalmatian meals. 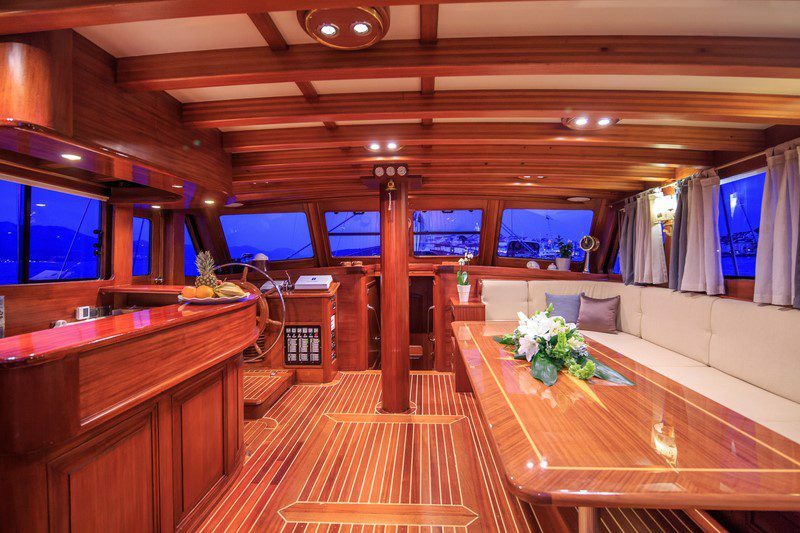 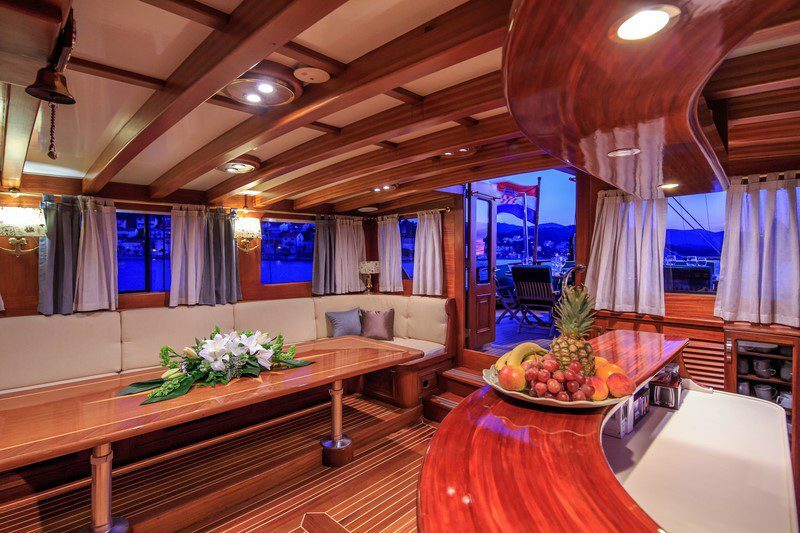 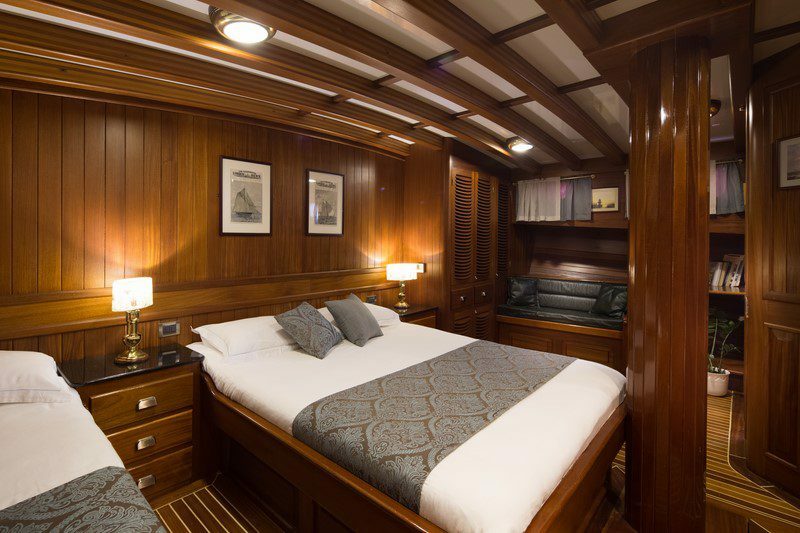 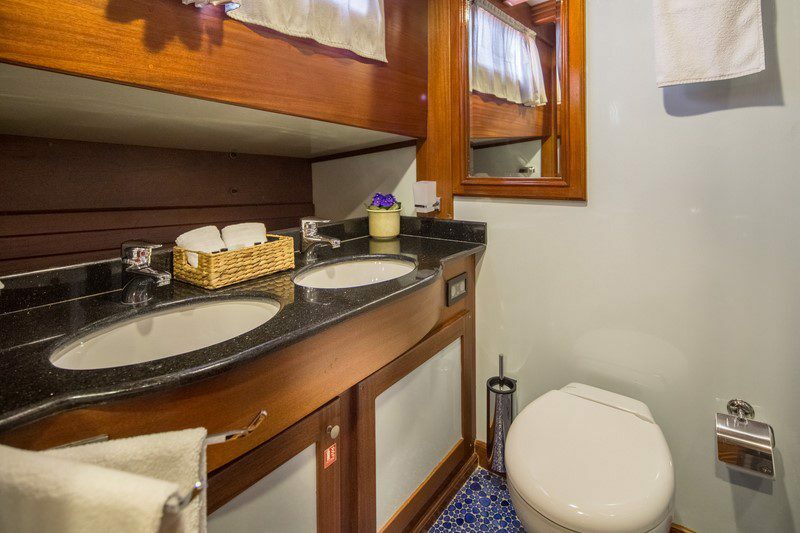 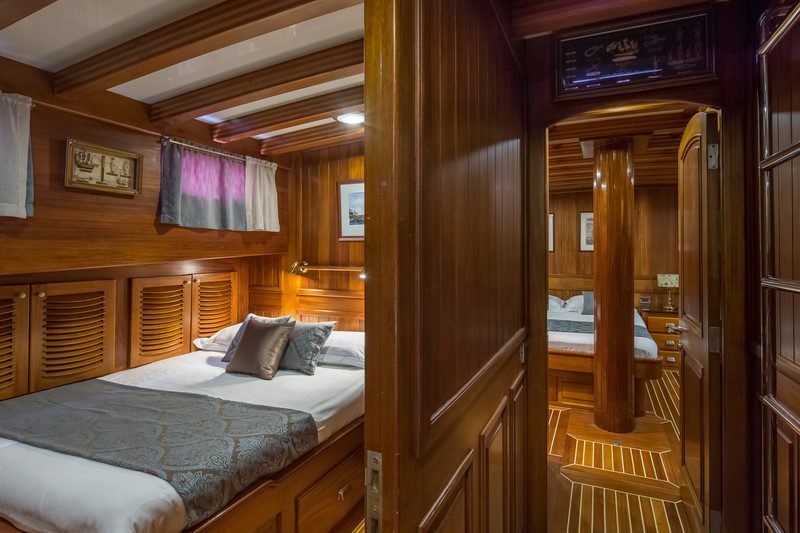 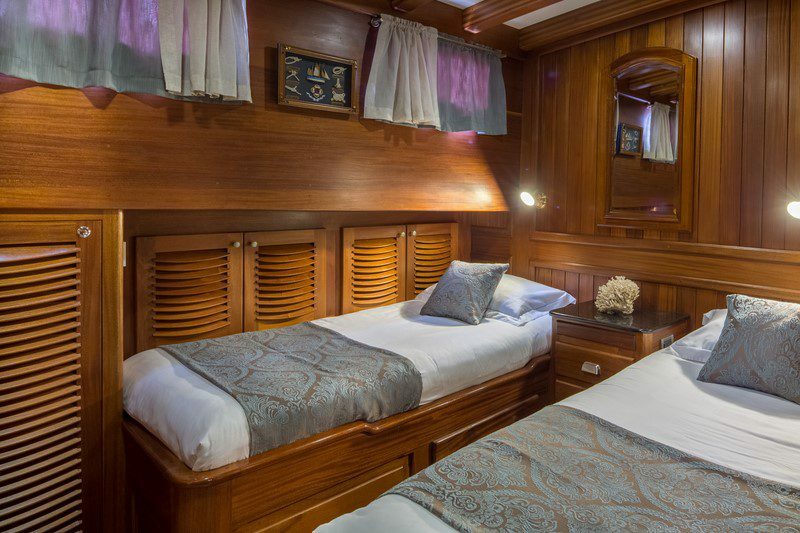 Apart from a comfortable dining table and a lounge area on the aft deck, the guests can also relax on the bow deck that features a lovely cushioned sofa and a coffee table. 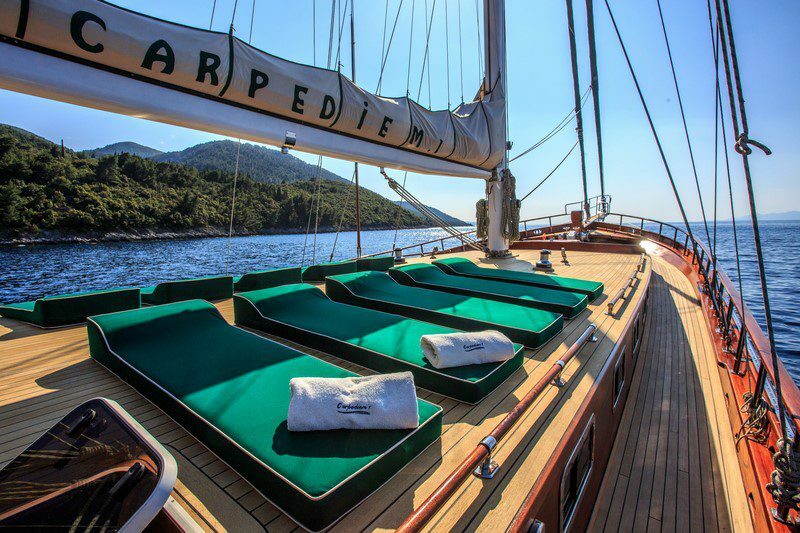 In addition to its wonderful décor, gulet Carpe Diem 1 comes with a carefully selected crew of four who will give their best to make your holiday moments long-lasting. 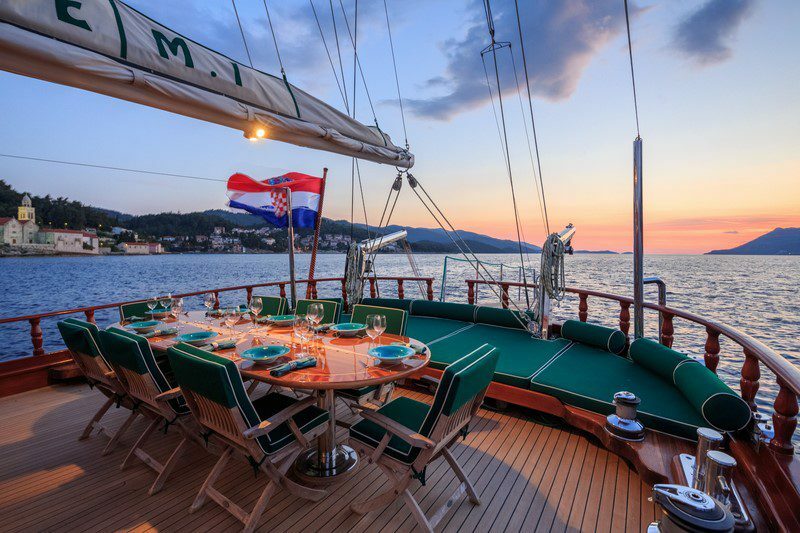 If you choose to rent Carpe Diem, you can embark in Split or even Dubrovnik, gaining an opportunity to explore the most beautiful part of the Croatian coast and enjoy the superb charter service in Croatia.